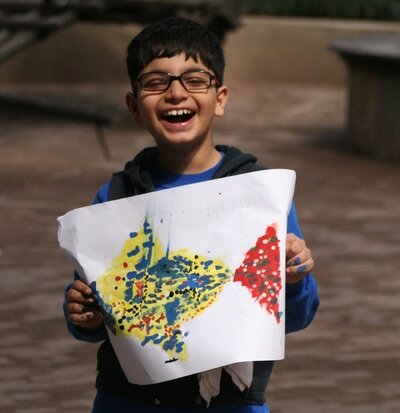 In February 2017, the Grade 2s of SNS and CVS spent 5 fun mornings at the Crafts Museum with Gond artist Ram Narayan Maravi and the Artreach team. 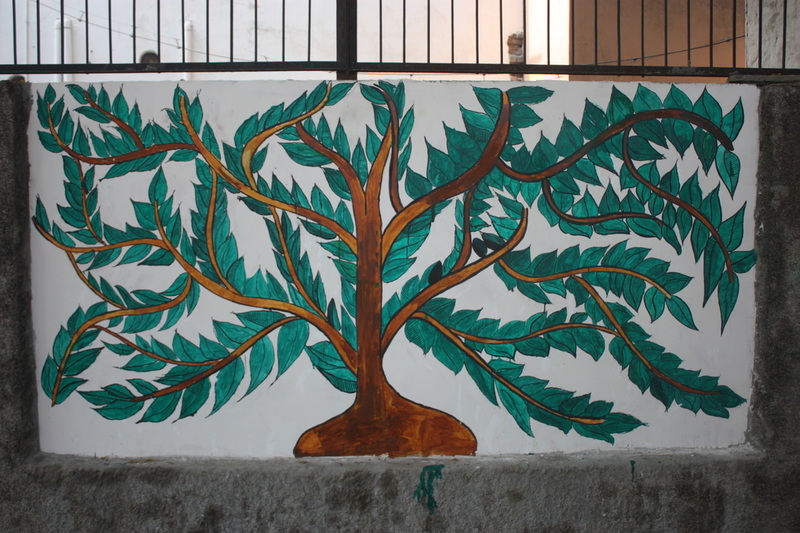 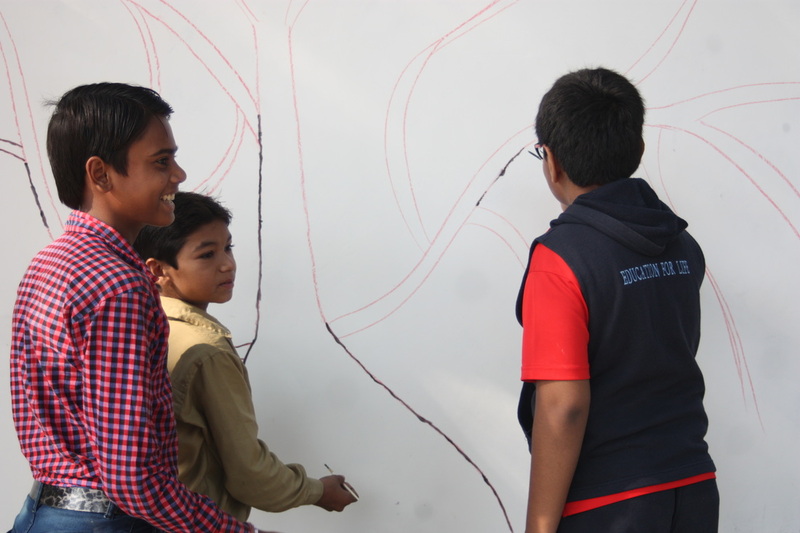 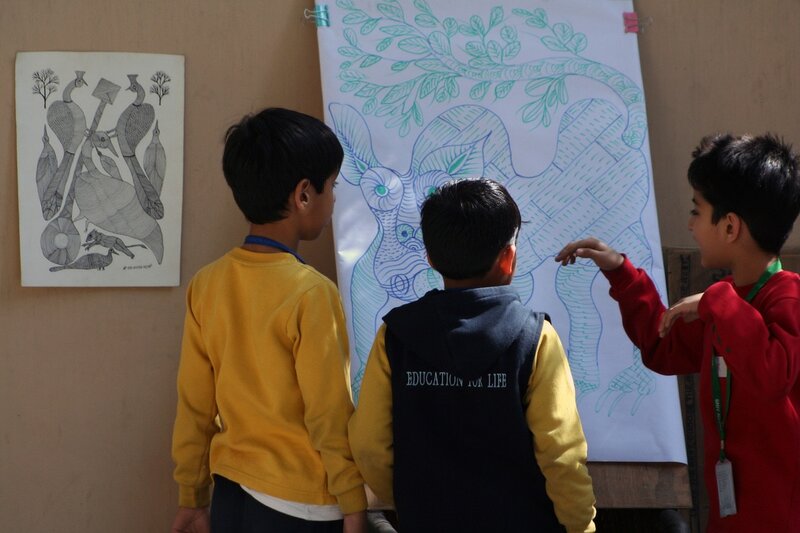 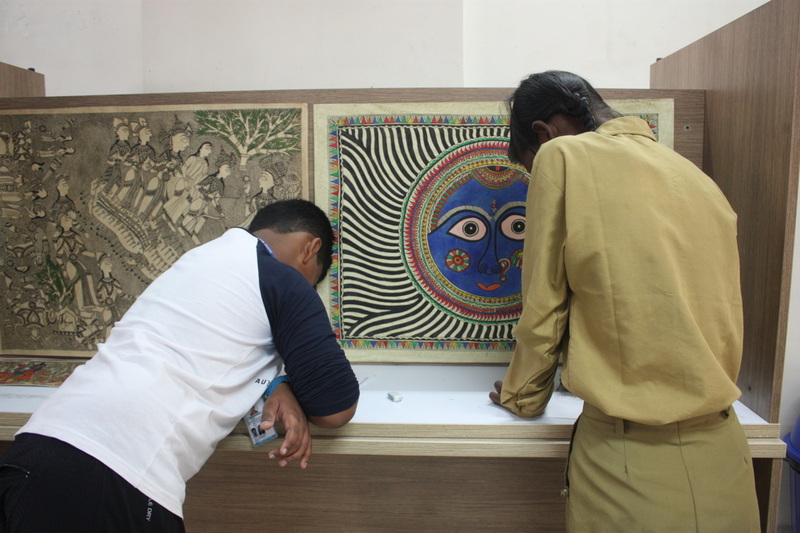 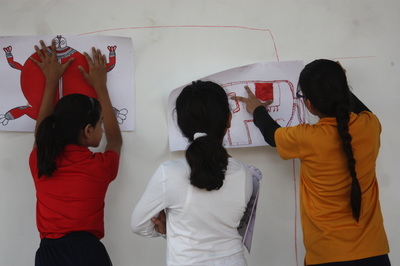 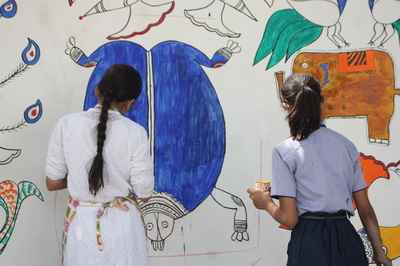 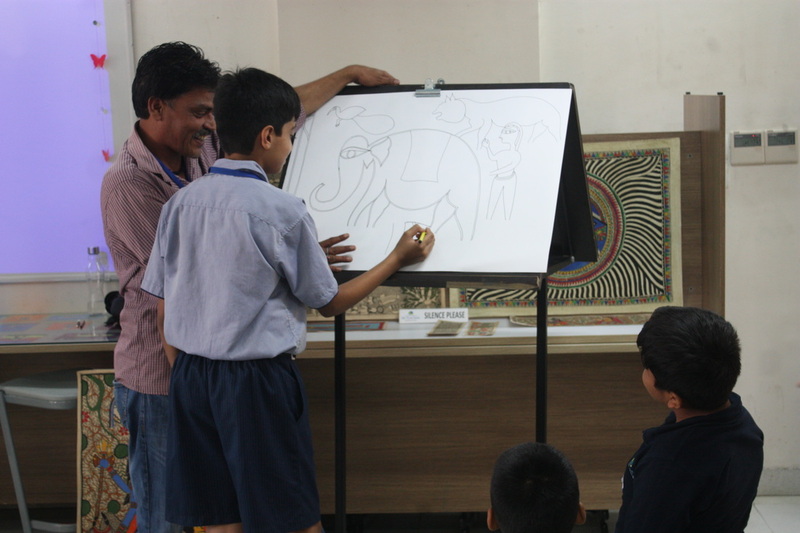 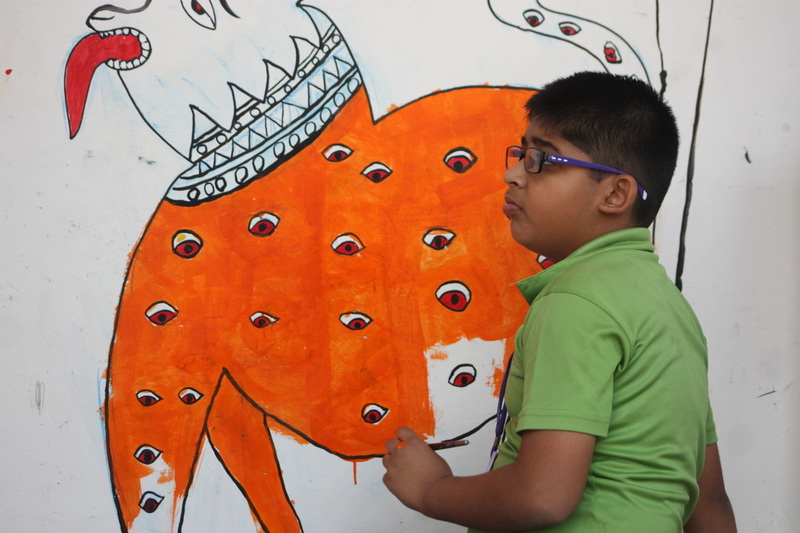 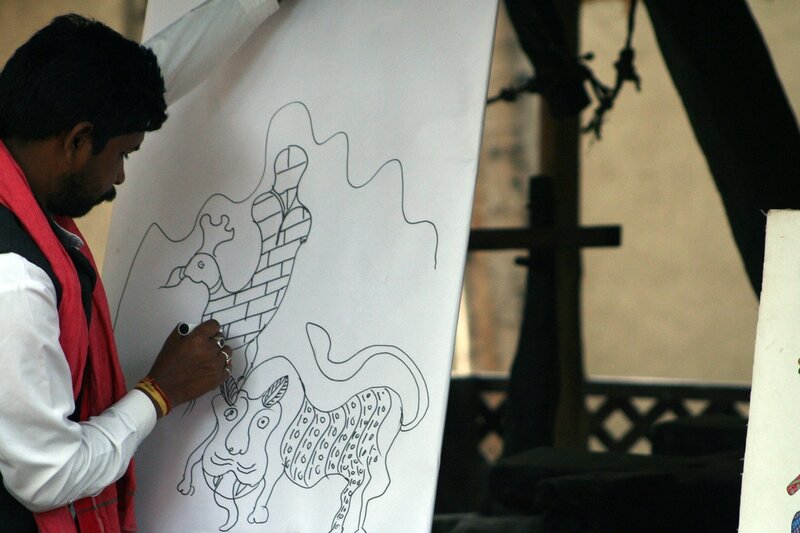 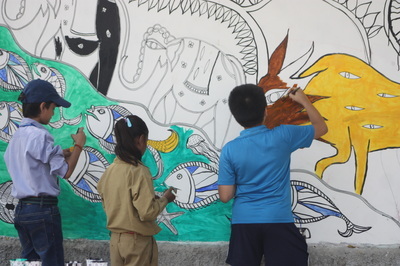 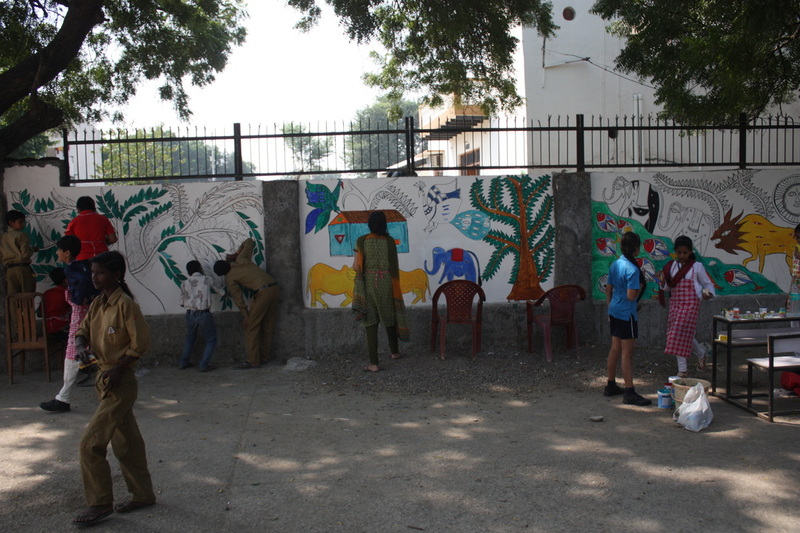 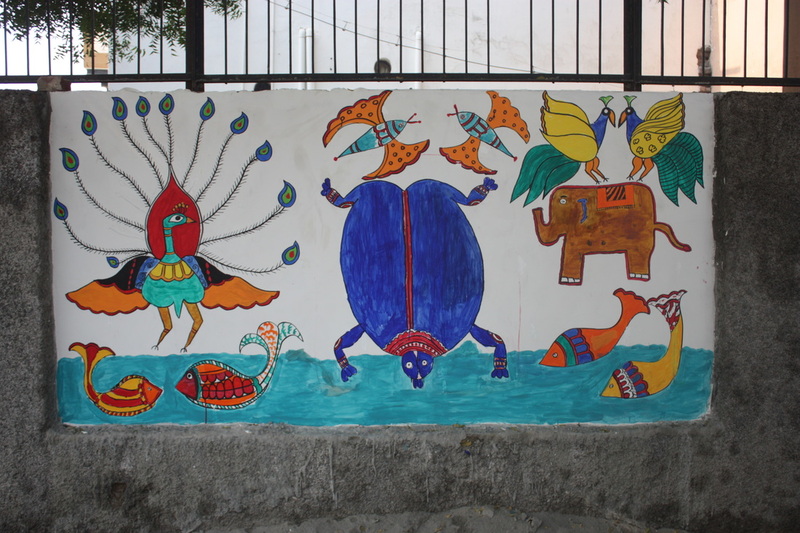 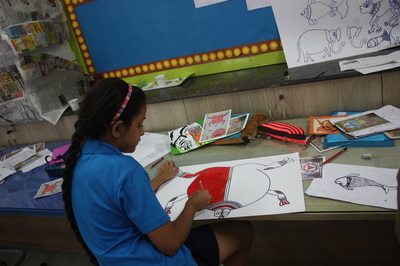 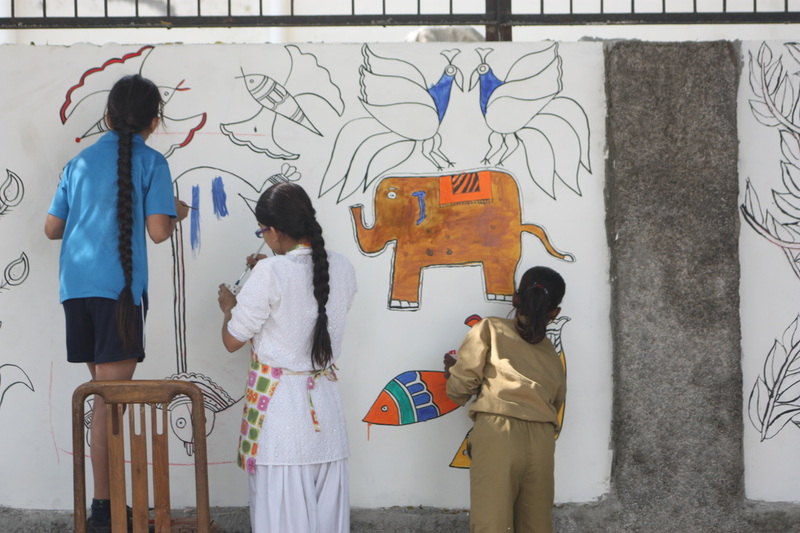 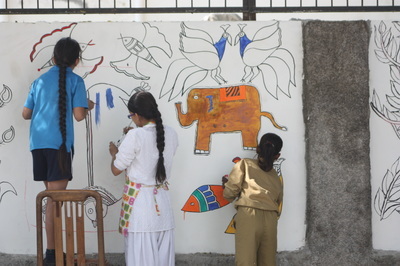 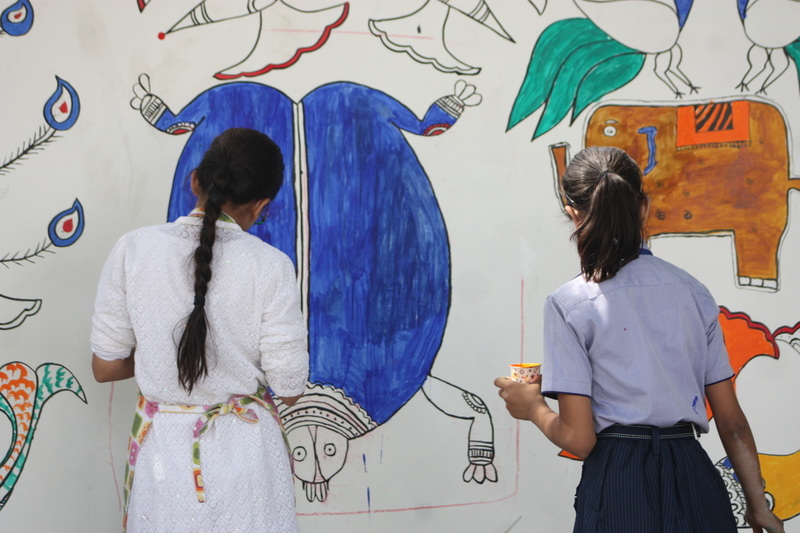 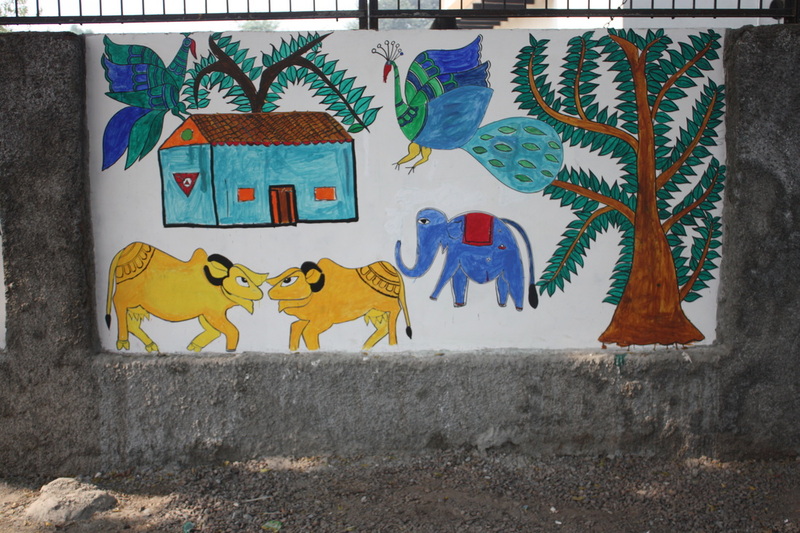 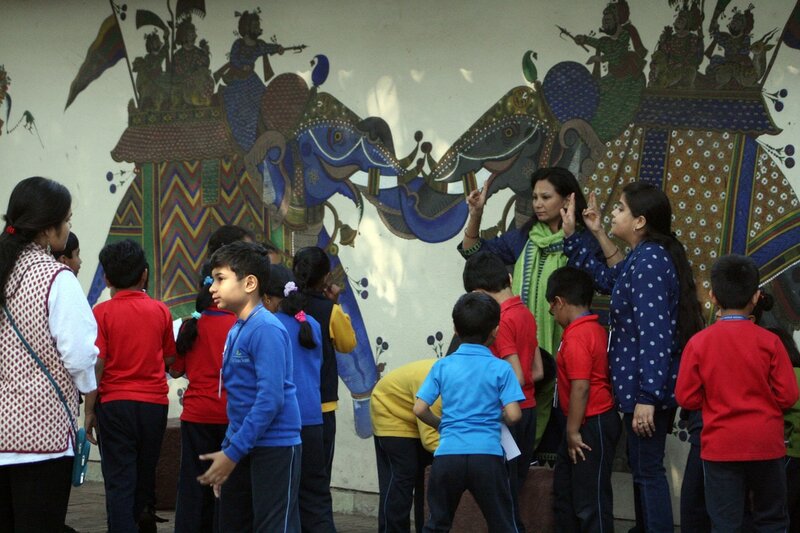 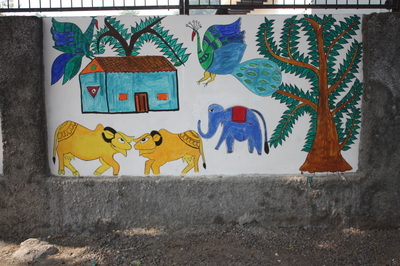 They began each day with a visual treasure hunt and when the excitement finally died down the students interacted with the artist learning about the history, themes and characteristics of Gond art from Madhya Pradesh. 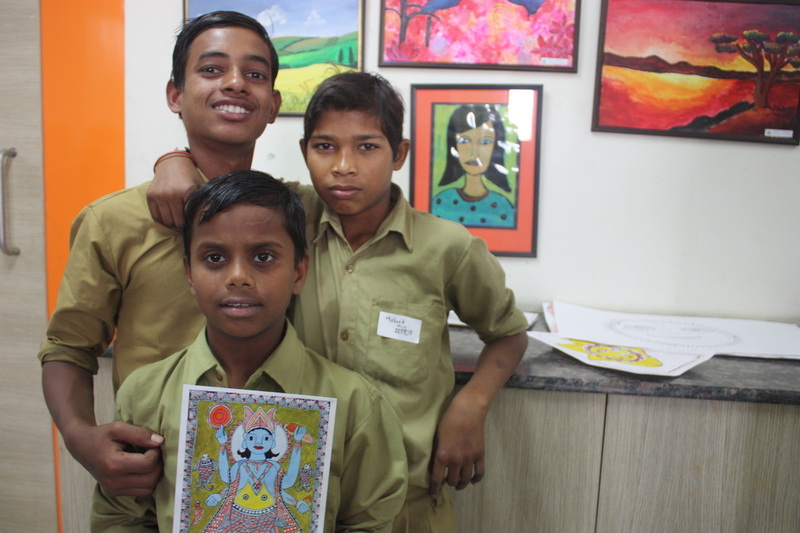 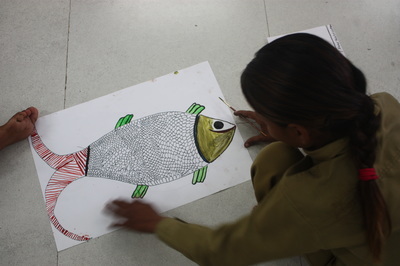 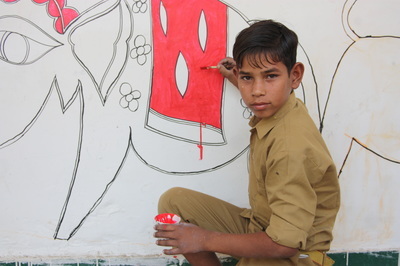 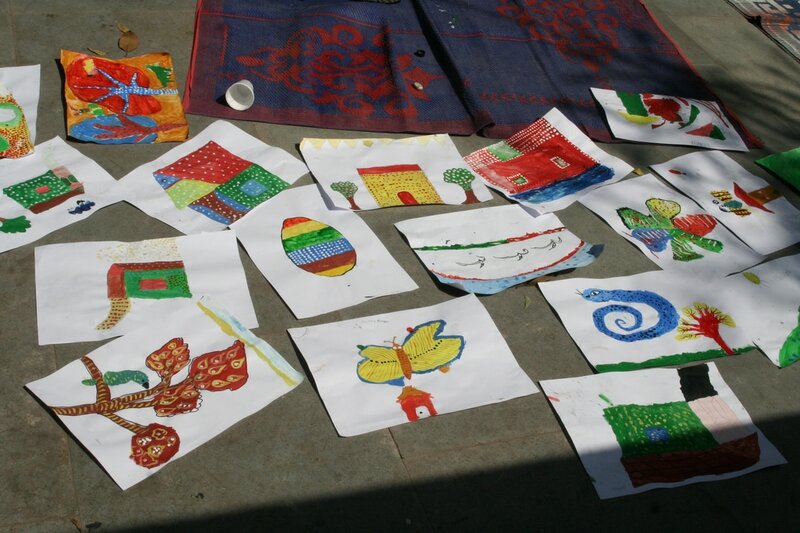 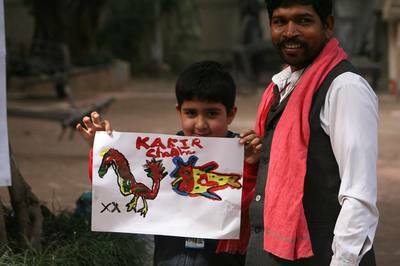 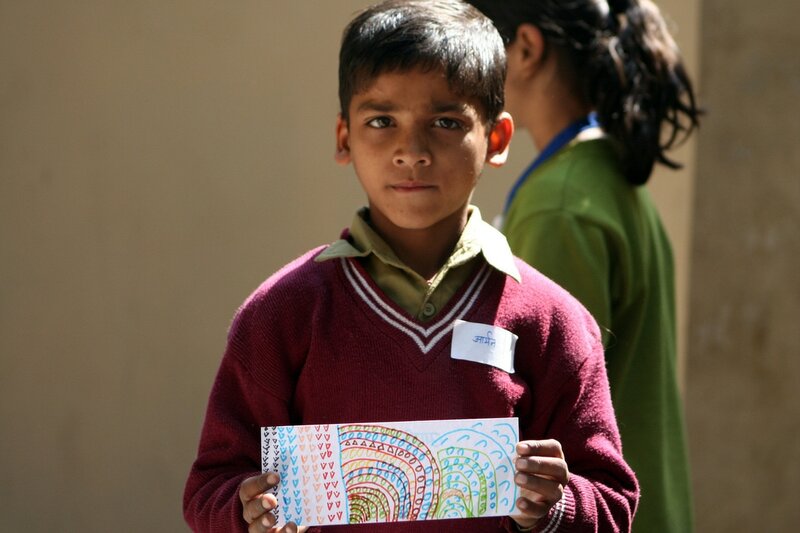 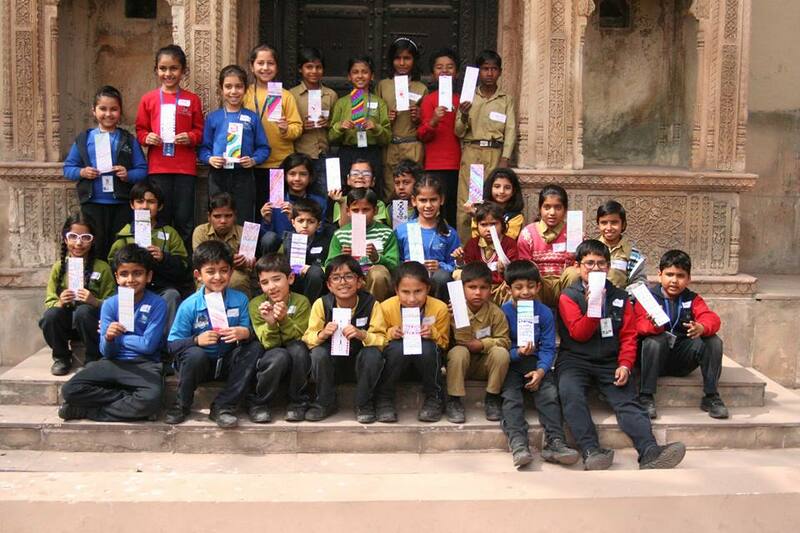 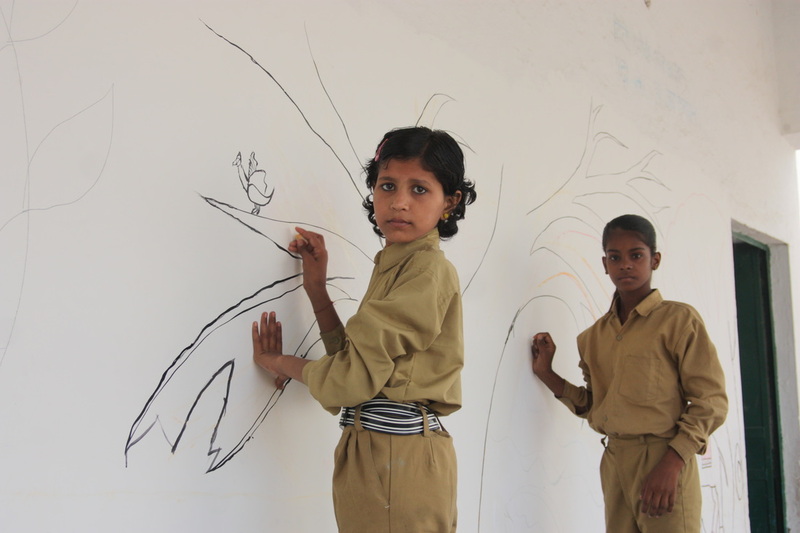 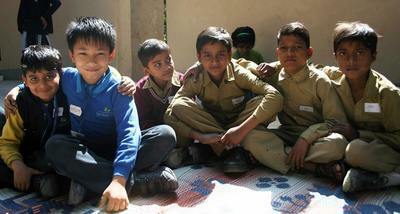 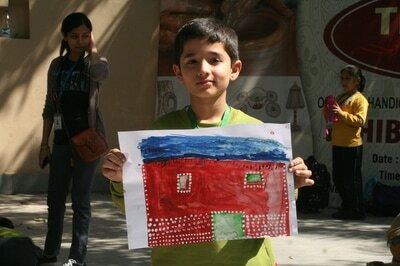 They then made their own paintings and created bookmarks with Gond's signature patterns. 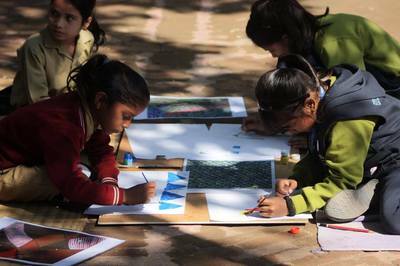 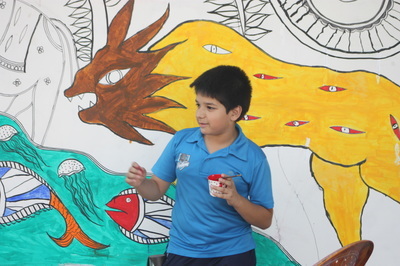 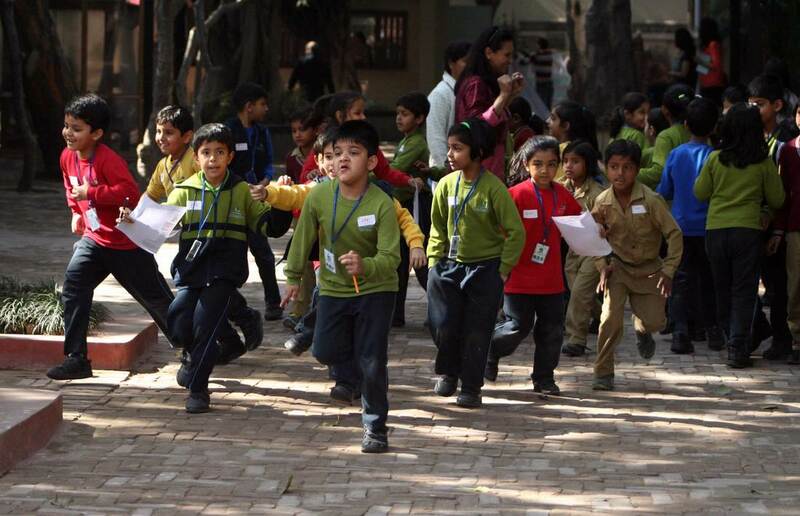 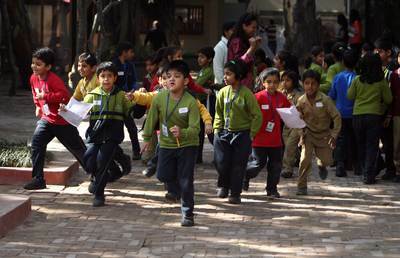 The workshops were linked to their EVS curriculum learning about diverse flora and fauna. 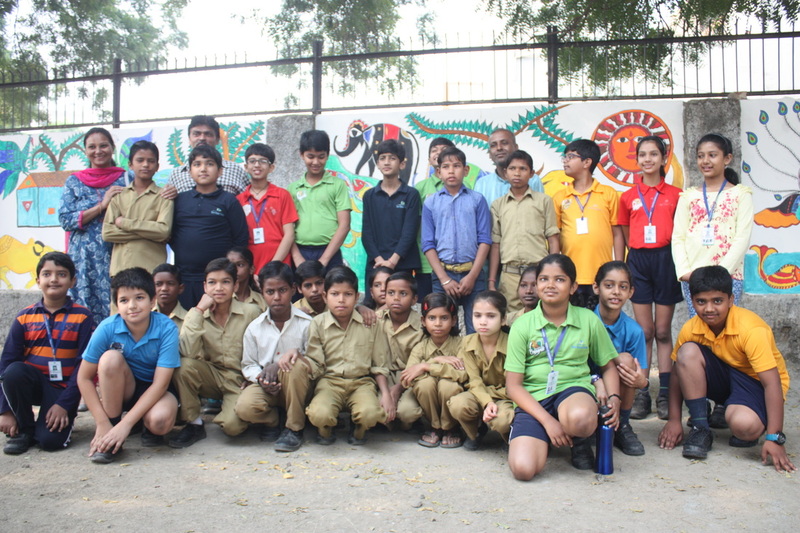 In October 2016, the Shiv Nadar School (SNS) invited Artreach India to facilitate a week-long workshop with their students from Grade 5 and students from the Chaprauli Village School (CVS). 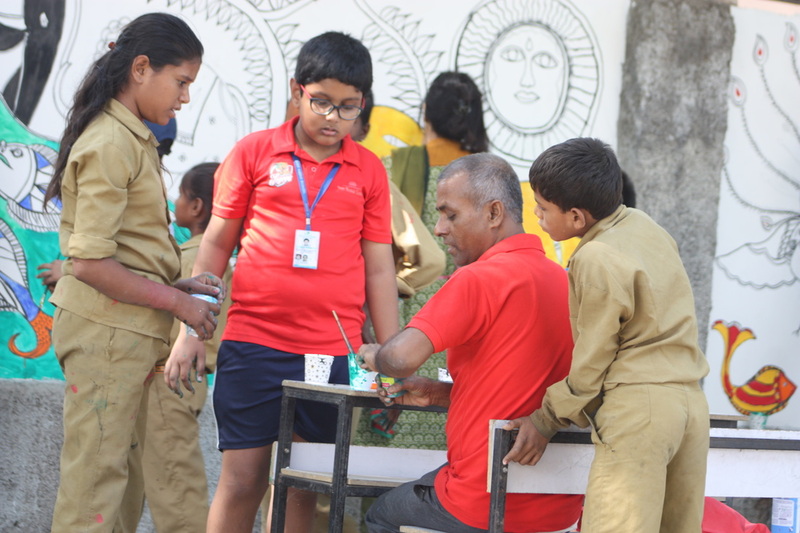 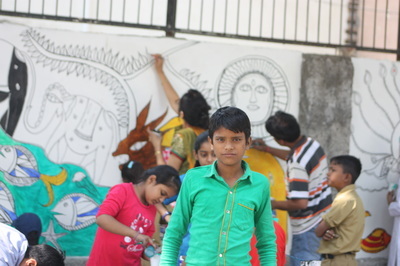 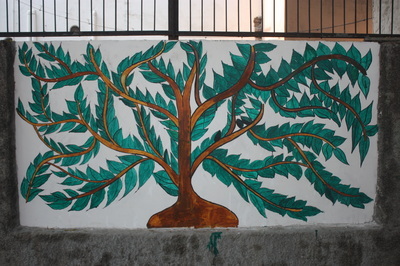 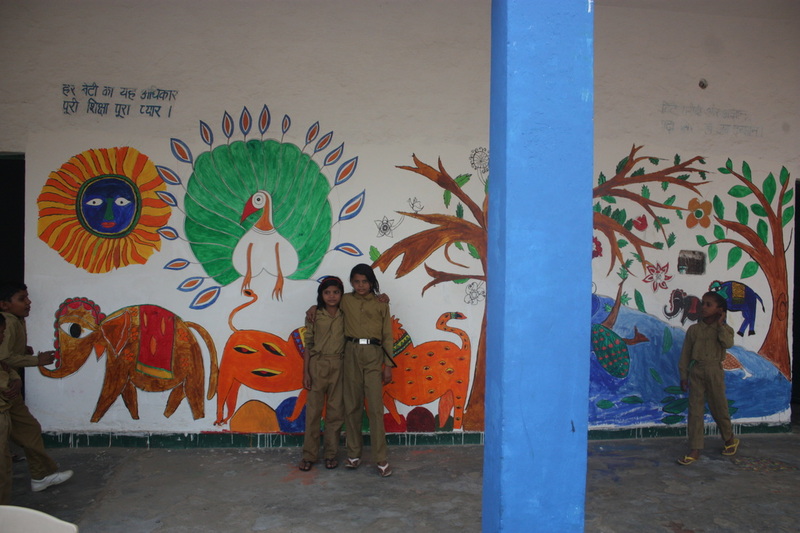 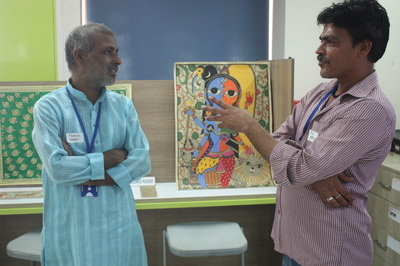 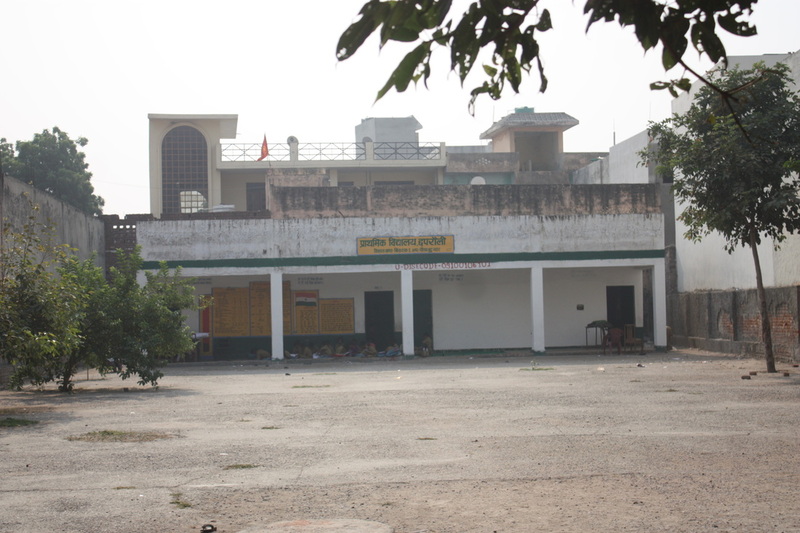 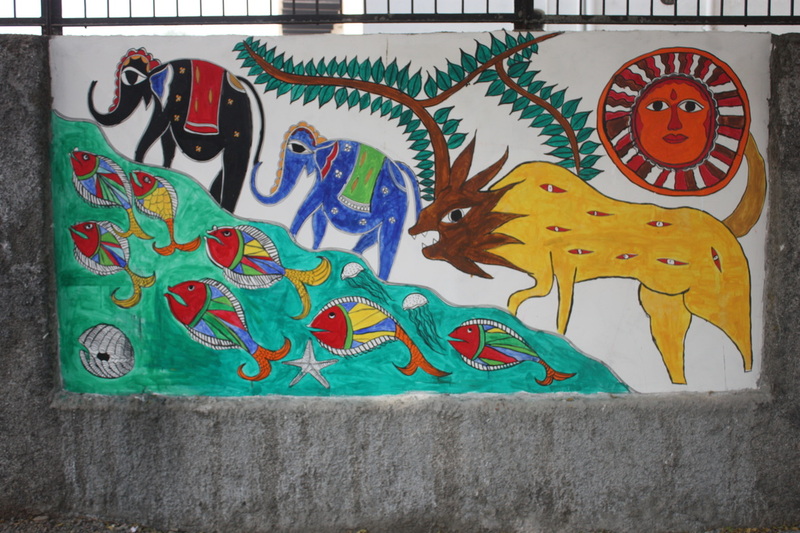 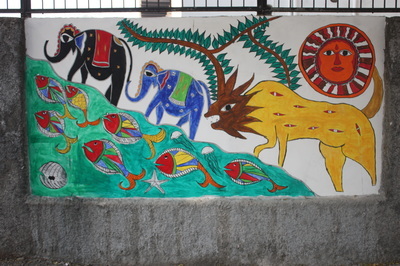 With 2 Madhubani artists Ajit Kumar Jha and Ganeshwar Nirala the children learnt the art of Madhubani, learnt to distinguish between Kachni, Bharni and Godna styles and painted 6 murals at the CVS. 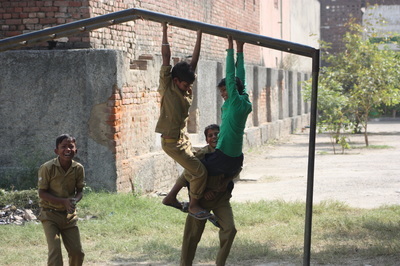 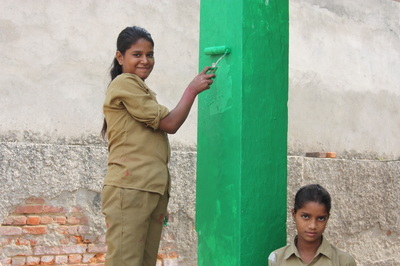 Painting was interspersed with games and enormous fun was had by all.